I love the variety of clothing styles you present Daria. 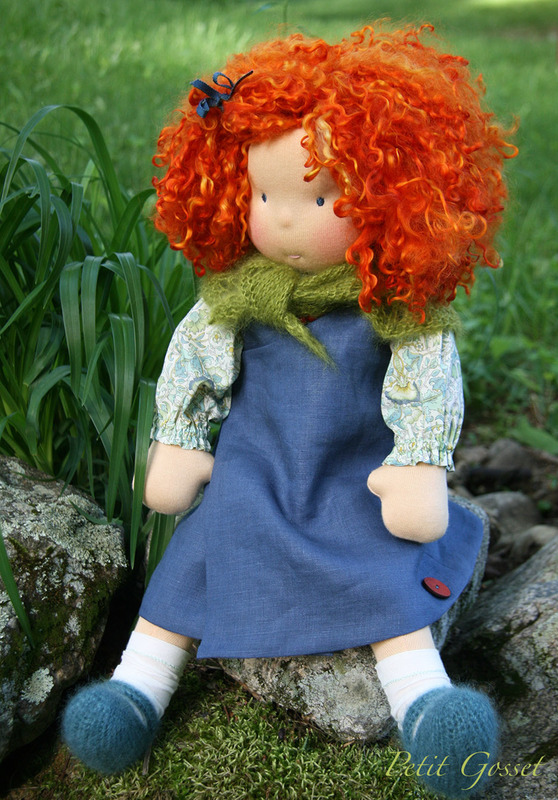 My favorite pattern in your shop is that of the hooded coat, an item that you do not often find for dolls. Love you dolls and clothes! What details. I’d say I like the peter pan collar dress pattern the best, so timeless! Peter Pan collar is my everlast favourite:) So I like your dress’ pattern with this collar most of all. Goodness they are all gorgeous, I would like to learn to make older style clothing. So precious! I love the little dress, it reminds me of a first day back to school! Your clothing is wonderfully romantic and beautiful! I love them both Daria, but I really love your dress pattern. I have always loved the exquisite details of your work. Simple, elegant and perfect miniature examples of real clothing. Your coat pattern is stunning and has always been a favorite of mine, but the dress pattern with the smock reminds me of the dresses that my daughters’s kindergarten teacher wore at her Waldorf school in Europe. Congratulations! You’re the winner of a Petit Gosset pattern/tutorial! Please send your email address to nobbyorganics@gmail.com. Thank you! I love them both tbh, but the peter pan colar dress is just amazing. Thank you for sharing this with us! 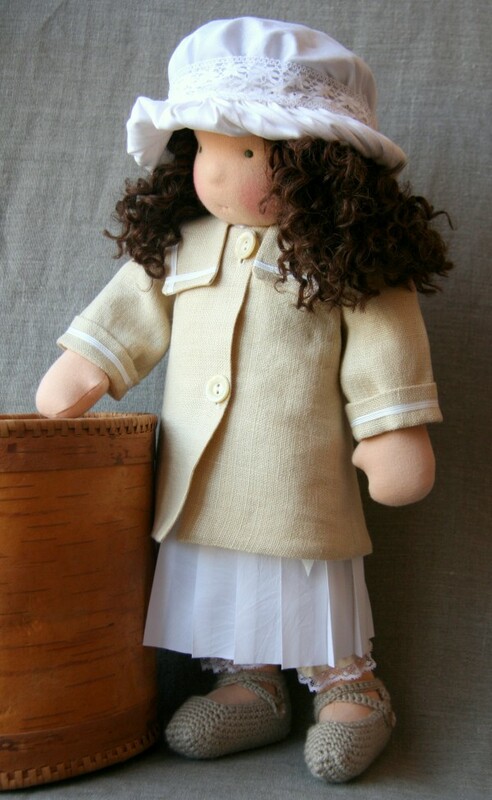 My daughters would love the Peter Pan collar dress for their Mama made dolls. Such a sweet and classic dress pattern! I love the hooded coat with the chic ribbon tie! 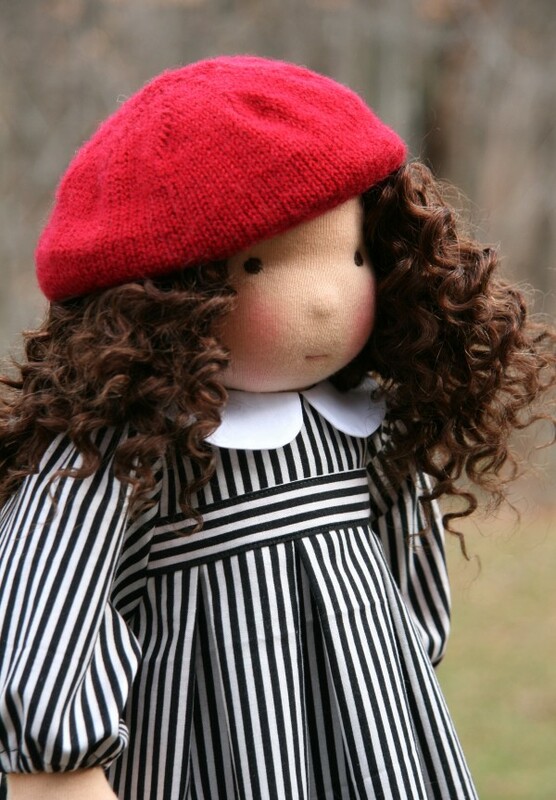 As a seamstress, I really appreciate the fine craftsmanship in your doll fashions. 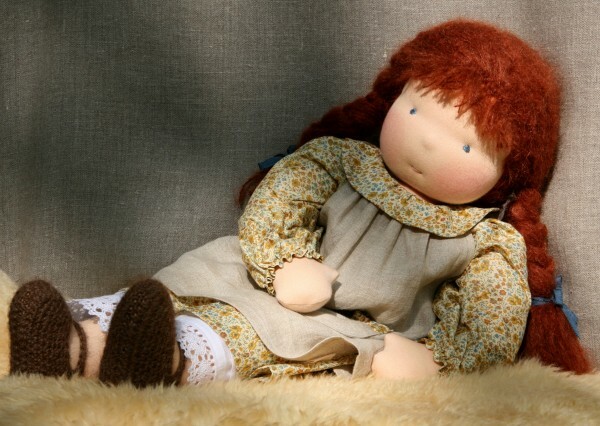 Your dolls are beautiful too. Thank you for sharing your fine work with the world. I love the Peter Pan collar dress. Such a classic :). My favorite pattern is the hooded coat pattern…beautiful!! My fave has to be the coat, especially right now as Victoria Australia is freezing!!! Thanks everyone so much for your kind words and support! And congratulations to Scarlett – comment # 9!